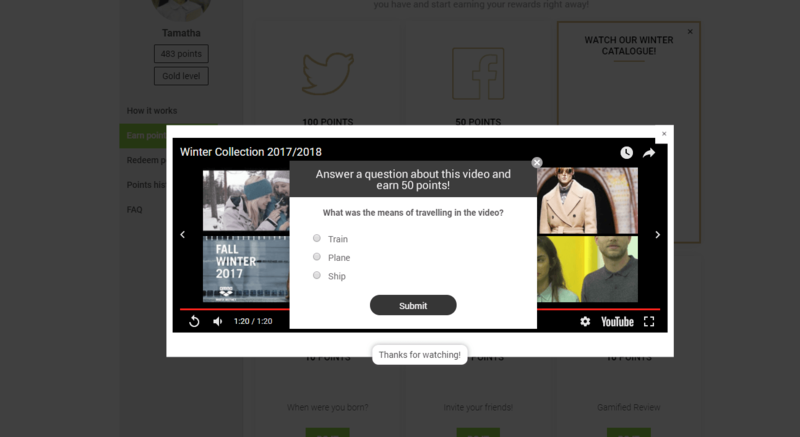 Use the Content consumption module to incentivize your customers to read your blog posts, visit landing pages for seasonal campaigns, or watch your videos. The solution works out of the box – the only configuration required is to specify the content and how many points you’d like to give members for watching or reading. 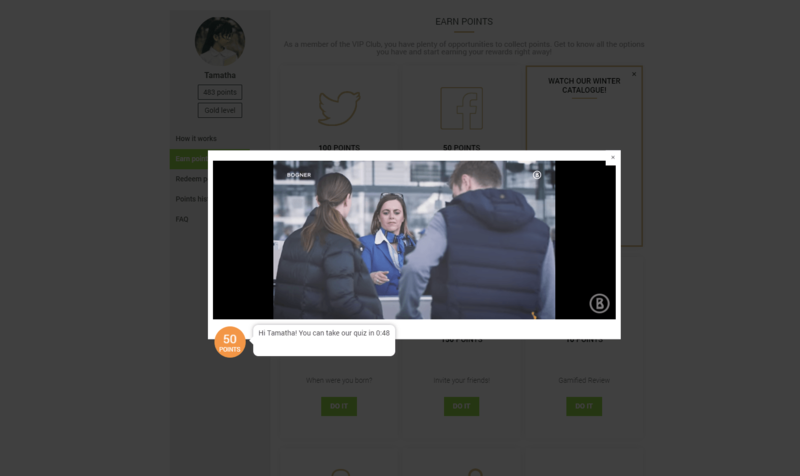 Visitors will receive their points after scrolling halfway down the page or playing half of the video. If you want to maximize the entertainment factor and make sure that customers have truly viewed or read content before earning points, you can use our Quizzes submodule and attach a quiz to the content.You can find the configuration page of Content consumption module by clicking on the ‘Modules’ link in the top menu bar and then selecting ‘Gamification modules’ from the list on the left-hand side. The page will open to the list content that has already been set up. This title will also appear on the activity’s card in the Loyalty Hub. Please note that Antavo only supports the incentivization of Vimeo and Youtube video views. Every new piece of content that you add and incentivize will generate a card in the Loyalty Hub when configuring the module. This card will be customized according to the details you’ve added on the module configuration page. Each card contains the URL you’ve entered, which either opens the landing page you’ve added in a new tab, or opens the built-in video player containing the video you’ve specified. You can always edit existing content. You can only edit one piece of content at a time, but you can save multiple content edits in a single run. Change the URLs from time to time to encourage your customers to return often for additional points. Don’t forget to remind your loyalty members about each new opportunity to earn loyalty points. In addition to rewarding loyalty program members, you can also increase awareness of your loyalty program among non-members with this module. When a new visitor watches your video, a banner will appear telling them that they will receive points if they sign up for the loyalty program and log into their account. The video banner can be customized with our CSS editor. 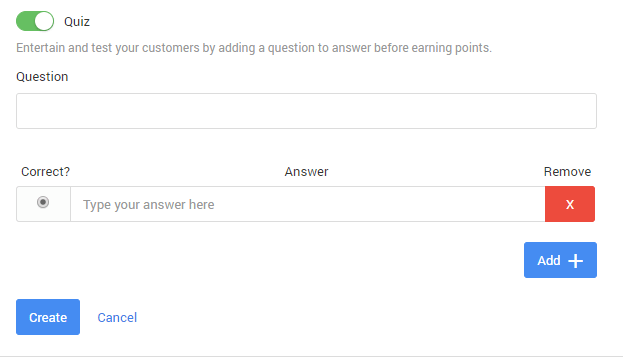 Compose the quiz question and the answers so that customers can’t search for them by copying and pasting the text.